Don't you just love this time towards December, with these really short days I love to stay at home a bit more often and make it cozy. These are the days I put the heather slightly higher, light an extra candle and add some extra blankets to the couch. December is also my birthday month and I often wonder even before it starts if I could get myself a Christmas tree yet! I simply love this time of the year, the lights, our family gatherings and the food! It is no secret I love to eat and getting home after a busy day or a cold walk I really enjoy having a small bite. Sometimes it is just a tea with something sweet, but to be honest I prefer the basic essentials like bread, oil, cheese and wine we use in our partly Italian kitchen at home. In my last post for bulthaup I wrote on how the beautiful stone bread container is a real eye catcher for your kitchen. Some accessories we buy for our kitchen are real kitchen essentials we use everyday. 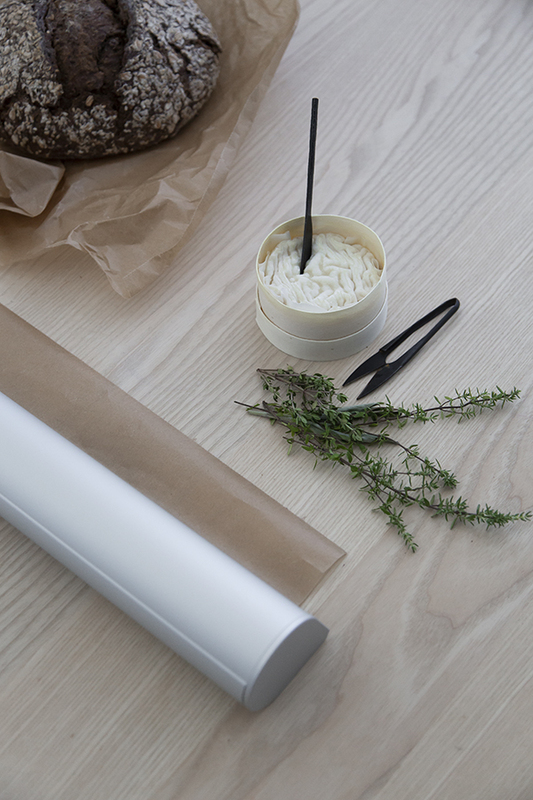 One of the basic kitchen accessories I'd say everyone should have is a Foil roll holder. I use foil almost every time when I use my oven, saving time and energy cleaning afterwards. Foil can be used in many other ways though, I keep the cheese I brought back from Sardinia covered in foil in my fridge and wrap my bread in it. Sometimes I use foil to add a natural touch to my table setting where it is not only functional but looks beautiful at the same time. 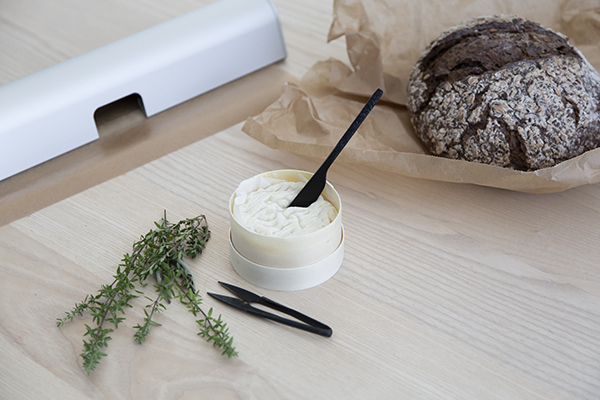 With the ergonomically designed bulthaup Foil roll holder, foil can be torn off cleanly and without shredding thanks to the finely serrated cutting edge. I personally prefer an uncluttered workspace and kitchen wall. While some like to have everything in sight in their kitchen I have most of my kitchen essentials packed away in the drawers, except for my ceramics that are pilled up on my industrial cart. 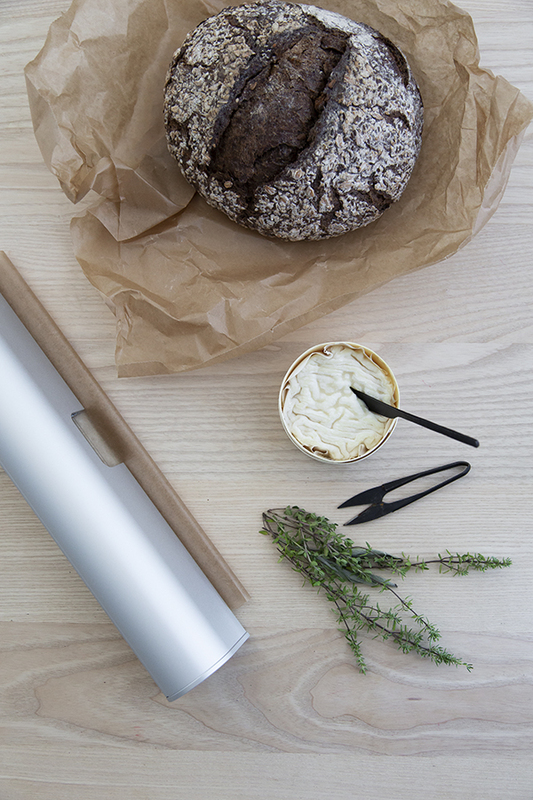 The cylindrical foil roll holder of which the shape is adapted to human hands, can be stowed in your kitchen drawer or cupboard and easy be placed on your workspace when in use.